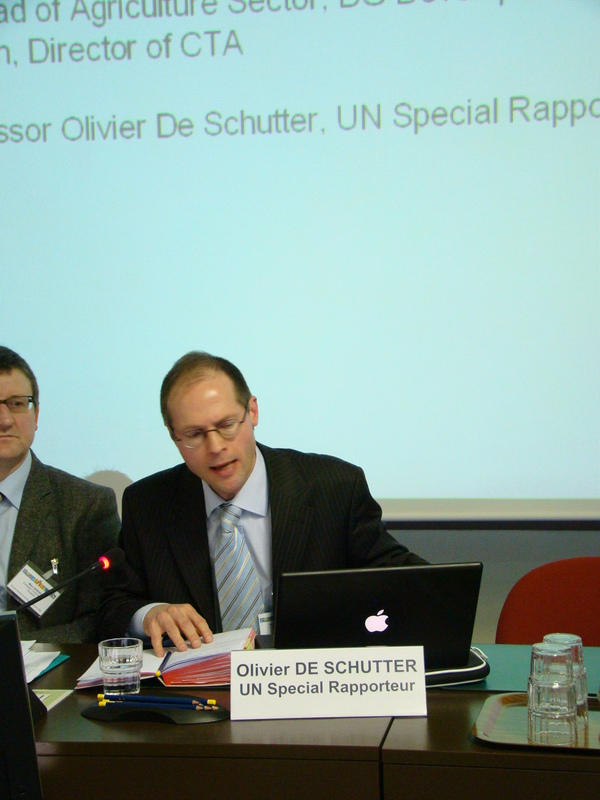 In his introductory remarks, Mr. Olivier De Schutter (UN Special Rapporteur on the Right to Food) pointed out the need to improve tenure security and a more equitable access to land since 1 billion people suffers hunger worldwide and around 80% of them depend on land; research has shown that a more equitable land access leads to economic growth and increases economic efficiency by improving competitiveness of land users and promoting rural employment. Moreover tenure security encourages more sustainable farming, therefore improving adaptation to climate change and enhancing rural population resilience. – to provide a framework for transnational large-scale land acquisition in which landowners rights are protected from foreign investors and people entitlement to benefit from natural resources is granted.